The human race has a food problem. Readily available phosphate fertilizer–a mainstay of intensive agriculture–won’t be around for long. That’s because supplies of mined phosphate could peak by 2033, at which point the material will become both expensive and hard to find. The ripple effects of a phosphate shortage could be catastrophic. But part of the solution to our phosphate woes may come from an unexpected place: gel-suspended mushrooms. 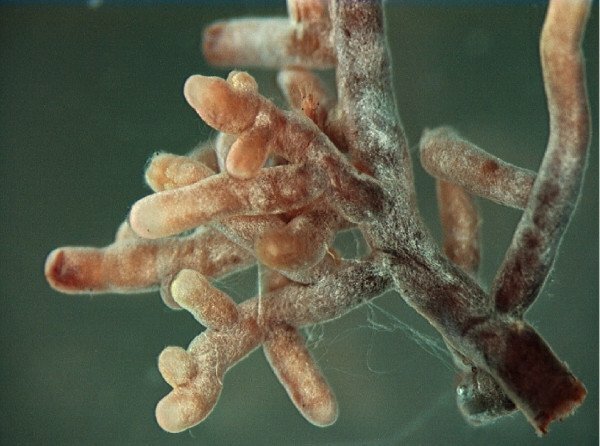 The news comes from the University of Lausanne, where researchers have been looking at why a kind of fungus that lives symbiotically with plant roots (mycorrhizal fungi) causes plants to grow larger. The mushrooms are expert at acquiring phosphates from the soil. So the university researchers are experimenting with producing massive quantities of the fungus, suspending it in a gel for easy transportation, and then attaching the gel to needy crops in tropical areas, where plants have extra difficulty gathering phosphate from the soil. And it works remarkably well. During testing on potato crops in Colombia, the researchers discovered that plants using the gel can produce the same yield of crops with half the amount of added fertilizer. This is a promising sign: A lot of what you eat might be fungi-fertilized soon. But this won’t solve the phosphate problem altogether. For that, we’ll need an arsenal of potential fixes, including recycling human urine (a phosphate-rich substance) and homemade bone meal. Entrepreneurs, now is the time to make these solutions both viable and appetizing.